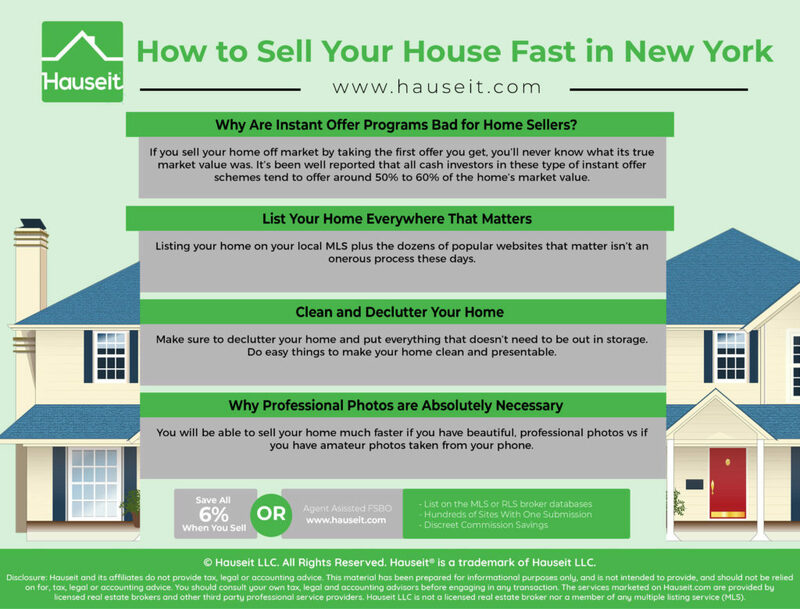 You can sell your house fast without offering it for pennies on the dollar to an instant offer program or investor by following a few simple rules. Make sure your property is listed on the MLS and all relevant local and national real estate websites, price your home correctly, clean and declutter your home and take professional photographs. Why Are Instant Offer Programs Bad for Home Sellers? The moment they search online for how to sell their home fast, home owners are deluged with ads from all cash investors advertising that they’ll buy houses and close within 7 days or so. Even more confounding, there are many heavily funded startups that are nothing more than app based versions of these vulture investors. Why are these instant offer programs a terrible idea for home sellers? Well, if you sell your home off market by taking the first offer you get, you’ll never know what its true market value was. It’s been well reported that all cash investors in these type of instant offer schemes tend to offer around 50% to 60% of the home’s market value. It makes great sense for investors however. They get to buy houses quickly, off market, at a steep discount to market value. They can then invest a few dollars on cosmetic repairs and then flip it for a profit, essentially the money that they didn’t pay you. Pro Tip: The only way to ascertain your home’s market value is to properly list it on the market. That means listing your home in your local MLS plus all relevant local and national property search websites. How can you be sure you’ve received the highest offer possible if you didn’t make your home available to everyone? Listing your home on your local MLS plus the dozens of popular websites that matter for home sales isn’t an onerous process these days. 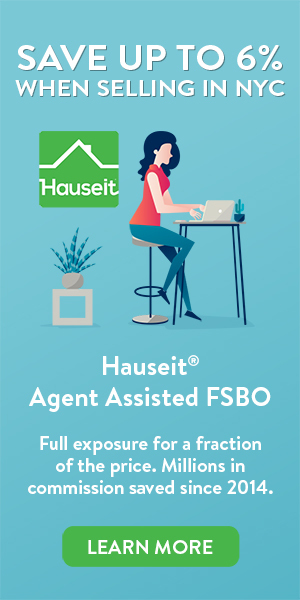 In fact, you can submit your property information once through Hauseit’s Agent Assisted FSBO service and automatically syndicate your property to your local MLS and hundreds of sites all at once. Best of all, you can do this without having to pay the typical real estate commission in NYC of 6% of your sale price. 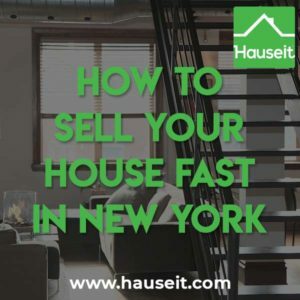 Why is this comprehensive listing syndication and marketing important if you want to sell your house fast in New York? Because you want to maximize the amount of potential buyers who see your listing. Even missing one potential buyer is a critical error because that buyer could have been the one to make an offer well above asking. Furthermore, getting your home on your local MLS broker database is critical because over 90% of all home buyers are represented by agents. If you’re selling a home in the Hudson Valley or Long Island or anywhere outside of NYC, then it’s even more important to list your home on the MLS because buyers are even more dependent on their agents. That’s because most homes in suburbia are listed for sale with lockboxes which can only be accessed by agents within the same MLS. So buyers literally need a buyer’s agent to be able to access homes for sale, unless an open house is being held of course. Pro Tip: Do open houses sell homes in NYC? Yes, and hosting an open house is a great way to signal that your property is still available if it’s been on the market for a while. In fact, one of the best ways to sell your house fast in New York is to host as many open houses as possible. This piece of advice is rather common sense, however we’ve come across far too many sellers who start showing their home when it’s a complete mess. This can be a problem especially if you have a tenant in place, in which case it becomes harder to ask the tenant to clean up their mess before you put your house on the market. Make sure to declutter your home and put everything that doesn’t need to be out in storage. If necessary, remove clutter lying around and put them in cabinets, shelves and closets. This is a critical move if you want to sell your house fast because having junk lying around makes your home look smaller and more cramped than it really is. After you’ve moved and organized your stuff, hire a cleaner or thoroughly clean your home yourself. Do easy things to make your home presentable, such as making the bed and putting fresh towels on the racks. Pretend that you are tidying up a hotel room at a 5 star resort. What would the hotel’s housekeeping staff do? Pro Tip: Avoid major renovations before selling as you typically won’t recoup the investment. Focus on cheap, minor enhancements or fixes before you put your home on the market. For example, pay your building’s superintendent a few dollars to fix that broker door handle or to make sure your wall mirror is hanging straight. Put away your cell phone camera. Don’t even think about taking and using your own, personal photographs of your home. Sellers who do so when trying to sell For Sale By Owner truly shoot themselves in the foot. Not only would you be competing against professionally marketed listings where the photographs are all re-touched and digitally enhanced, buyers will be hard-pressed to imagine what your home looks like in person if that’s what they look like online! Photographs of your home are what home buyers first see, typically online or through listing ideas sent by their buyer’s agent. As a result, you want this first impression to be perfect. That means there’s absolutely no reason to try to skimp on a few hundred dollars for professional photography if you are really trying to sell your house fast. Ironically, you will be able to sell your home much faster if you have beautiful, professional photos vs if you have terrible photos. So pick your battles and know where not to skimp. Professional photos are truly the smallest investment you can make in your home sale process and one that gives the highest return on investment. Pro Tip: You’ll also need a floor plan of your home to complement your professional photographs. It’s well documented that 50% of buyers won’t visit a home they’ve seen online unless they’ve first seen a floor plan. Simply put, buyers want to know what they’re getting into!